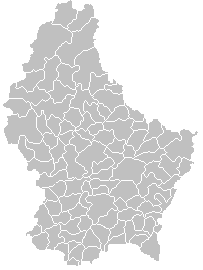 A Portuguese Luxembourger or Lusoburguês is a citizen of Luxembourg that either was born in Portugal or is of Portuguese ancestry. Although estimates of the total Portuguese Luxembourg population vary, in 2013 there were 82,363 people in Luxembourg with Portuguese nationality. They constitute 16.1% of the population of Luxembourg, making them the largest group of foreigner citizens living in the country. It is illegal to collect statistics about the race, ethnicity, or ancestry of Luxembourg citizens, which makes it very difficult to come to a proper estimate of the number of Portuguese Luxembourgers. In the 2001 census, there were 58,657 inhabitants with Portuguese nationality, up from negligibly few in 1960. From 1875 onwards, Luxembourg's economy relied upon the immigration of cheap labour of mostly Italians to work in the country's steel mills and to counter the natural demographic decline of the native Luxembourgish population. The successive waves of immigrants were predominated by Germans and Italians, but, by the 1960s, the influx of foreign workers from these countries slowed, as their home countries' economies had recovered. By 1967, the Italian expatriate population had begun to decline as Italians returned home. This coincided with the rise of a booming financial services sector, which caused native Luxembourgers to turn away from industrial jobs. The mid-1960s saw the arrival of the first Portuguese guest workers (including Cape Verdeans, who also had Portuguese citizenship). At the time, Portugal was ruled as a corporatist military dictatorship, and an economic downturn coincided with the so-called 'Academic Crisis' and deteriorating conditions in Portugal's colonies to put further pressure on many young Portuguese people to emigrate. The two countries signed a treaty in Lisbon in 1970 to allow family unification, and this was enshrined into Luxembourgish law in 1972. This turned the Portuguese community into a demographically self-sustaining unit, marking it out as separate from the Germans, who had little desire to move permanently to Luxembourg, and Italians, who were not granted special status for family immigration. When Portugal entered the European Economic Community in 1986, Portuguese citizens were to be guaranteed the same rights to the labour market as Luxembourgish citizens. All countries were given a transitional period of seven years to adapt to the new conditions, during which they could impose restrictions upon immigration from Portugal (and Spain, the other new EEC member). Luxembourg was given a longer transitional period, of ten years, as the government feared a large influx of Portuguese immigrants. When, in 1990, the government found that immigration had barely increased since 1985, it dropped its limitations. ^ a b c "Population par subdivision territoriale et selon la nationalité 2001" (in French). Statec. Retrieved 2007-07-01. ^ "Population totale par nationalité 1875 - 2001" (in French). Statec. Retrieved 2007-07-01. ^ Cordeiro (1976), pp. 95–6. ^ Cordeiro (1976), p. 37. ^ "Mémorial A, 1972, No. 26" (PDF) (in French). Service central de législation. Retrieved 2007-06-25. Cordeiro, Albano (1976). "Immigration - Luxembourg 1975: Aspects économiques, historiques et sociologiques" (in French). Luxembourg City: Secrétariat d'État à l'Immigration. French nationality law is historically based on the principles of jus soli, according to Ernest Renan's definition, in opposition to the German definition of nationality, jus sanguinis, formalised by Johann Gottlieb Fichte. Moutfort (French) is a village in the commune of Contern, in south-western Luxembourg, on both sides of the road from the city of Luxembourg to the German border town Remich. As of 2015, the village of Moutfort had a population of 1,306 inhabitants, and the associated village of Medingen had 112 inhabitants. 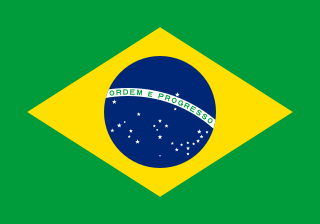 Brazilians are citizens of Brazil. A Brazilian can also be a person born abroad to a Brazilian parent or legal guardian as well as a persons who acquired Brazilian citizenship. Brazil is a multiethnic society, which means that it is home to people of many different ethnic origins. As a result, majority of Brazilians do not equate their nationality with their ethnicity, usually embracing and espousing both simultaneously.